Thursday, October 11th: K-12 Data Governance Meeting. Join the State-wide K-12 Data Governance Group! This month we welcome a new member to the team, Robin Howe. Robin replaces Amber Palmer as CISL's Administrative Assistant. She comes to us from the Legislature, and we look forward to all she will bring to CISL! OSPI is partnering with the National Center on Intensive Intervention (NCII) to bring some outstanding national and state speakers together for two days with the goal to provide individuals and teams at any stage of implementation of MTSS the knowledge, information, and resources needed to develop, enhance, or sustain an integrated MTSS framework that supports each student, family, and educator. Dr. Sharon Vaughn, University of Texas at Austin, and Dr. Brandi Simonsen, University of Connecticut, are the keynote speakers this year. There will be over 30 breakout sessions from national and state experts and district, school, and early childhood MTSS implementers. Team planning time has been scheduled throughout the conference. Join us at MTSS Fest 2018! This group was established in 2009 by the Legislature and focuses on the educational data needed to serve teachers, parents, superintendents, school boards, OSPI, the Legislature, and the public. Read the full recruitment announcement. 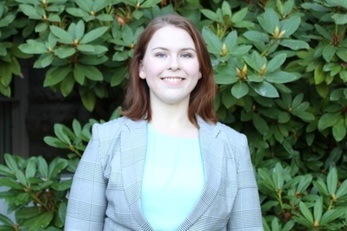 If interested, please send a resume and statement of interest to Emily Rang, Director of Data Governance at Emily.rang@k12.wa.us by September 27th. New knowledge about human development from neuroscience and the sciences of learning and development demonstrates that effective learning depends on secure attachments; affirming relationships; rich, hands-on learning experiences; and explicit integration of social, emotional, and academic skills. A positive school environment supports students’ growth across all the developmental pathways—physical, psychological, cognitive, social, and emotional—while it reduces stress and anxiety that create biological impediments to learning. Such an environment takes a "whole child" approach to education, seeking to address the distinctive strengths, needs, and interests of students as they engage in learning. 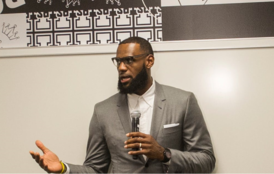 In a recent article by Ed Surge that discusses LeBron James’ new school, I Promise, Washington is highlighted for its efforts to move forward integrated student supports.